Location! 77 sq. m of office space on third floor in the heart of Tbilisi! Location! 77 sq. m of office space on third floor in the heart of Tbilisi! it is located in the cozy and quiet place at the intersection of Lermontov st. and Tabidze st.
telephone, hot water and gas heating. Parking is available at Freedom Square and Lermontov Street. Translate from English into Georgian. Translating from English into Georgian and from Georgian into English. Quality is guaranteed. The price depends on the complexity of the text. It's also possible to make some agreements about it. Feeling fit, healthy and peaceful is a reasonable goal that I can help you achieve. 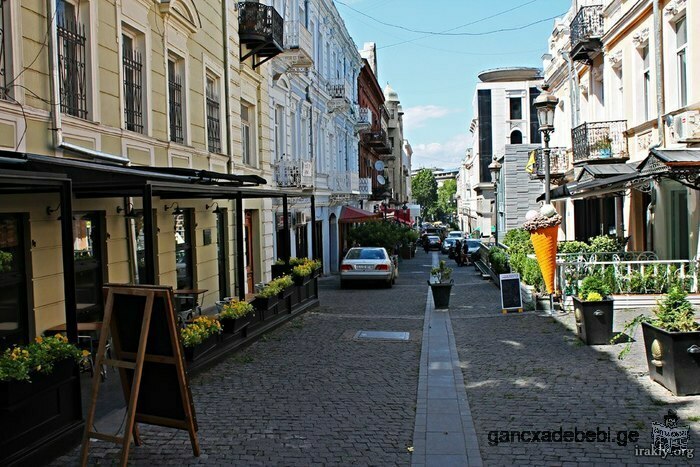 Flat for rent in Tbilisi, Saburtalo. It's comfortable and Fully equipped with furniture, TV, washing machine, refrigerator, Wifi, Protected entrance, parking place and etc. Land Builder Avenue, 200 meters from the back of the Court have been fenced, with communications to pass through, a place populated and rapidly developing. The documents in order. sq.m Price 80 $. im a medical graduate from tbilisi state medical university searching for a job.i speak english fluently and have got good computer skills too.if there is any job vacancy kindly mail me at sg17121987@gmail.com. We offer rental of luxury apartments and apartments for rent, and not only. Luxury apartments or apartments - is worthy alternative to upscale hotels to the most discerning guests! Consulting and brokerage company "RELTO"
if you are interested, call me 599076776. First lesson is free! In the city center. Sale, Apartment.